With drama, romance, and intrigue, the opera Les Huguenots brought events surrounding the St. Bartholomew’s Day Massacre to life (at least in music and melodrama with a lavish backdrop). Giacomo Meyerbeer, with librettist Eugène Scribe, composed the French-language opera in 1836, which opened at the Opéra Le Peletier in Paris. Generations would applaud the production, which is considered a triumph in the the history of French opera. The import of the history remains–populated by parades of soldiers, clerics, court aristocrats, and impassioned students–with particular focus on seven main characters and their romances and tragedies. In music filled with German, Italian, and French influences, Meyerbeer created a pageant that would impress Giuseppe Verdi and Richard Wagner. 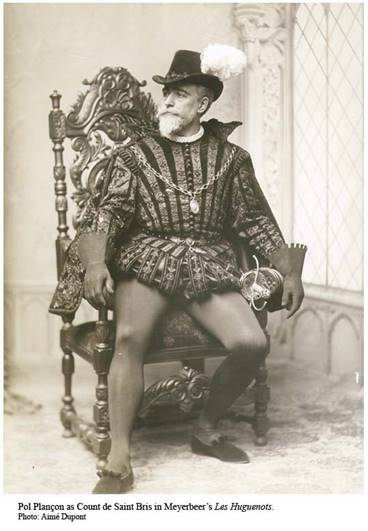 Pol Henri Plançon, a distinguished French operatic bass, starred as the Comte de St. Bris in the Metropolitan Opera (New York) premiere in 1894. 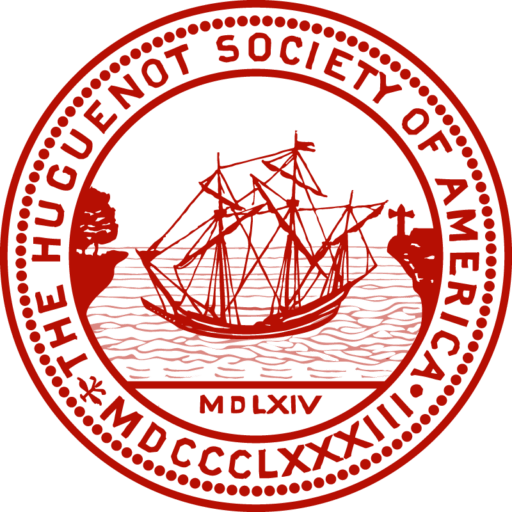 One wonders how many members of the Huguenot Society of America, founded in 1883, were present at this high point of the Golden Age of Opera.